2013 marks the 102th year of the Berlin Six Day Race in the heart of Germany since it began in 1909. Since its premier at the Velodrome on Landsberger Allee in 1997, the ISDE- creates a mood of good humour during the races; the days will not be short! So, in 2013 there is no doubt that there will be an attractive entertainment program! World-class sport, exciting shows and exquisite cuisine are the keywords. The “Six Days” have been held every at New York’s Madison Square Garden year since 1896. First, each driver drove for himself, starting in 1899, but there still the usual two teams. At the first meeting in Berlin in March 1909 in the Aussstellungshallen at the Zoo in the 150-meter oval crossbar, 15 teams fought for victory. A highlight not only for all sports enthusiasts, because the supporting program is perfect for a nice holidays! 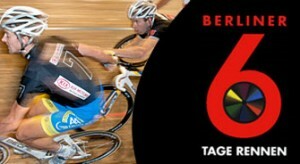 The 102nd Berlin Six Day Race, 24.01.2013 until 29.01.2013! This entry was posted in Event and tagged Events, Sport, Velodrom by U inn Berlin Hostel. Bookmark the permalink.